A selection of Policing and Community Safety News including snippets from York Rd PSNI Facebook pages! Scroll down or click a link to continue! OPERATION TORUS - DRUG DEALERS! Police in North Belfast are appealing for information about a car which was burnt and totally destroyed in the Tigers Bay area. Police advise this is not being treated as a sectarian incident and they are following a definite line of enquiry. Some residents in Tigers Bay claimed a gang of up to 50 armed republican youths wielding hammers, knives and sticks entered the Tigers Bay area via various flashpoints and proceeded to attack residents and property. Another individual claimed on the radio that the Tigers Bay area was being attacked on a nightly basis by republicans from the New Lodge and Newington areas. Police have advised it did not receive any reports of the incident as described, but had responded to reports of youths gathering to watch a pre-arranged fight between two boys. A police spokesman said that although there were a number of youths present at various locations, “no criminal activity was detected” and police continued to patrol the area. Clearly, any illegal activity, is an issue that only police can deal with, and as such, communities must support police as the only authority to deal with all form of illegal and criminal activity. Members of Tigers Bay Policing and Community Safety Partnership, after having spoken to senior police, and have been assured that police will monitor this situation. At the same time police would like to reassure all Tigers Bay and Mountcollyer residents, that there is no record or evidence of nightly attacks into Tigers Bay or Mountcollyer from people of the New Lodge or Newington communities. Operation Torus is a policing initiative which deals with the issue of street level drug dealing across Northern Ireland. 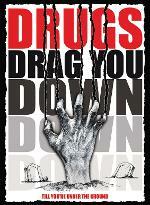 The campaign is designed to encourage reporting of drug dealing. Additional resources have been allocated to specifically target street level drug dealers across Northern Ireland. Tackling the issue of drugs is a policing priority. Police are committed to protecting communities and are working with local residents, community representatives, businesses and elected representatives to tackle the issue of drug supply. 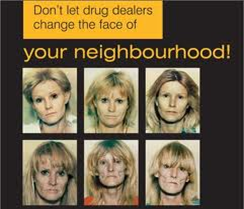 The Police Service is working hard to gather intelligence on drug related crime and have been working in partnership with local neighbourhoods across Northern Ireland. 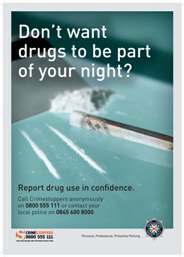 Trust has been developed so that those with concerns about drugs are now coming forward with information. The more support and information we receive, the greater our capacity to build cases against individuals involved in drug dealing and bring them before the courts. We also need help from the public and would urge anyone who has any information on drug dealing to come forward to the police. Any information received will enhance our opportunities of seizing drugs and thereby creating safer communities for everyone. Calls to Crimestoppers are not recorded, there is no caller ID facility and callers will not be asked for their names. Calling Police or Crimestoppers can help make your community safer. THIS IS YOUR CHANCE TO DO YOUR BIT FOR YOUR COMMUNITY! KEEP THESE LOWLIFES OFF OUR STREETS. ALEXANDRA PARK - THE FACTS! There have been a number of claims and allegations made in relation to anti-social behaviour arising from the launch/opening of the Alexandra Park Peace gate on the 16/09/2011. 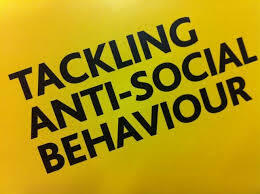 Such claims and allegations include almost nightly incidents of ASB involving groups of young people of up to 300 in number who faced up to each other on launch day, to smaller gangs involving youths and individual young people being involved in daily/nightly ASB attacks and incidents. On 16/09/2011 (the day of the official peace gate launch, by the DOJ minister) there were no incidents of note that have been linked to either Alexandra Park or the immediate area (this is based on all the incidents being linked to the correct geographical location. Whilst not perfect, the above statistics represent and tell a very different story in relation to the SUCCESSES of the Alexandra Park Peace gate initiative! The opening of the peace gate has provided valuable access to many residents of both communities! Park users, dog walkers, families and individuals now use this area openly and freely for a number of leisure activities without fear of becoming a victim of serious anti-social behaviour. Indeed since the opening of the peace gate, general and sectarian related anti-social behaviour associated with the Park and in the area of the nearby Limestone Road interface has substantially reduced! Excellent partnership work involving the Community, NIHE, Belfast City Council, Police, DOJ and Youth providers continues to promote and deliver Safer Stable Interface Communities! They have been used widely across the UK to address identified behavioural needs within schools and aim to offer a safe and welcoming environment to promote learning and positive behaviours. The ministers visited Currie Primary School in Belfast on Thursday to see how the the Sunshine Room has improved school life for pupils. Announcing the multi-million investment, DUP Minister McCausland said: "Investing in our children from an early stage in their young lives is paramount if, we, as a community, are to provide the necessary support and environment to enable them to thrive and develop. "I have visited a number of piloted nurture units in the past so, to announce £3m of funding today giving financial support to a further 20 units is testament to the hard work and dedication of the teachers and staff who have worked tirelessly and made these nurture units a success. "I have seen at firsthand how the personal time spent with our most vulnerable and young children in these units can not only have an impact on the social development of some of the children but can also have beneficial impact on their parents." Sinn Féin Minister O'Dowd added: "I welcome the opportunity to officially launch the new nurture units and meet some of the children and staff who are involved in this exciting new project. "All our schools have a responsibility for the emotional health and wellbeing of our children - to help build self-esteem and confidence in their own abilities, and to build levels of resilience that will help them cope with situations they may find difficult, not just in school but in later life. "Nurture units can play a key role in tackling under-achievement early in a child's life by providing targeted support to where it is most needed. The units will bridge the gap between home and school and will play a key role in my longer term aim of closing the gap in educational attainment evident in our system." The Nurture Unit Signature Project which is part of the Northern Ireland Executive's Delivering Social Change programme has invested the funding across 20 primary schools. 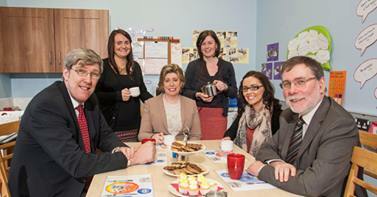 The latest investment brings the number of specialist facilities in the region to 30. Nurture Units are a valuable resource which aim to support the social, emotional and behavioural development of our young children and provide an opportunity to challenge some of the barriers that contribute to low educational attainment. An initial investigation into what is believed to be a bogus investment and currency scheme which promised clients an unrealistic return, has resulted in the arrest yesterday of a 39 year old woman, a former bank employee, on suspicion of fraud and money laundering offences. It is believed the offences occurred mainly in the Andersonstown area of Belfast but they may have also taken place across Northern Ireland. The woman has been released on police bail, pending further enquiries. Detectives are keen to speak with anyone who has any information which can assist this investigation, or if someone feels that they have been a victim of this type of fraudulent investment scheme to please contact Lisburn CID on 0845 600 800. 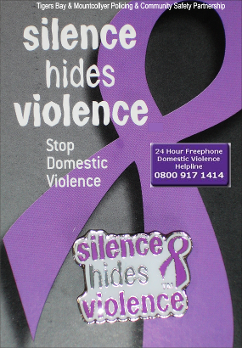 Or, if someone would prefer to provide information without giving their details, they can contact the independent charity Crimestoppers and speak to them anonymously on 0800 555 111. Police Scotland, West Area STOP Unit (Glasgow) are reporting a dangerous 'ecstasy' type tablet currently in circulation. 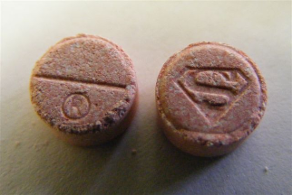 The tablets are pink with the 'Superman' logo on one side and a 'half score' line and ® logo on the reverse. Some of these tablets have been recovered, examined and found to contain para-Methoxyamphetamine (PMA). PMA can be toxic especially at high doses or when combined with other drugs and alcohol. It has previously been connected to a number of serious adverse reactions and fatalities. Yet again we are saddened to report more incidents of hate crime in North Belfast. Cars belonging to four Slovakian and Polish families have been extensively damaged after they were deliberately set on fire in north Belfast. The arson attack, which happened on Whitewell Road on Tuesday night shortly before 10.30pm, is being treated as a hate crime by police. Tigers Bay and Mountcollyer Policing and Community Safety Partnership and the Police are appealing for help from the local community in relation to a number of hate crime attacks on ethnic minority communities. Over recent months there have been attacks on a number of homes which included petrol bombing, criminal damage and intimidation. Unfortunately one family has already left the area (8 Parkmount Street) and the potential exists for more to leave. Can you imagine the impact and fear this has on young children belonging to these families? - It is incredible to think there are people in this area, who actually plan these attacks without one thought given to these children and other victims. This is without doubt the work of cowards and bullies but hopefully, it will only be a matter of time, before these culprits are caught. The partnership is confident that the local community will deliver the names of those responsible to police. Any information, no matter how small, should be reported directly to police on 0845 600 8000 (ask for York Road neighbourhood section) or totally anonymously to Crimestoppers on 0800 555 111. STALKING - HELP IS AVAILABLE! Police in York Road are appealing for information following the report of a burglary at retail premises in the New Lodge area of Belfast. Sometime between 9pm on Thursday, 31st October and 6.30am on Friday, 1st November, a number of unknown persons entered the premises by knocking through the rear wall of the property. The till was damaged and an amount of cash was taken from it, along with a number of cigarette packets. Sergeant Brian Caskey shouts WINNERS! Well done to Limestone United senior cross community football team who won the Unity Cup Supplementary shield on Sunday . It was great for the team to be invited and come home with a trophy. Alcohol seized in Alexander Park after youths lit a fire, One person to be reported to PSNI Youth Diversion officer. Alcohol also seized in area of upper Cavehill Road. Fireworks seized in York Park and alcohol seized from underage male on New Lodge Road. Proactive patrols continuing. During April - June 2013 38 cases have been reported through the MARAC (Multi Agency Risk Assessment Conference) process. The subgroup has been set up to deal solely with MARAC to ensure best practice for addressing domestic abuse risks. Work continues in this area to develop our service provisions and engagement, whilst also increasing awareness of domestic crime. During recent months police delivered a number of presentations to student social workers, meeting to discuss partnership working and information provisions. In addition, police took part in networking events for local school students to explain the role of domestic abuse unit within this policing district. 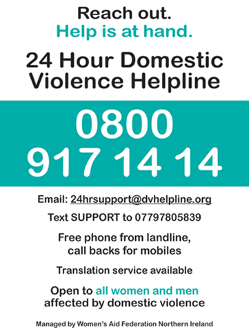 If you are a victim of domestic abuse please report it to police. Tigers Bay & Mountcollyer Policing & Community Safety Partnership wishes to thank the vast majority of local residents for their continued support in dealing with crime, drug dealing and anti-social behaviour. Over the last six months Police have been very active pursuing drug dealers and criminals in the Tigers Bay and Mountcollyer areas. Thanks to local residents, police receive many calls providing information on individuals involved in drug dealing and other crimes. However, the Policing Partnership is keen to ensure drug dealers for example, face other consequences, such as being evicted by the Housing Executive and if children are in the household, immediate intervention by Social Services. As a result of local residents reporting to police, a number of anti-social behaviour hot spots have been identified in Tigers Bay which include the Glenrosa and Greenmount areas. Over the last year there has been a serious deterioration in anti-social behaviour in these areas. Parties, drug use, alcohol abuse, assaults, intimidation and extreme nuisance have caused trauma for residents in this area which in turn has left people feeling both vulnerable and fearful of becoming victims of crime. Despite some recent successes, concerns are now such, that the partnership is seeking a more intensive multi-agency approach to these ASB hot spot areas whereby the Police, the Housing Executive and Belfast City Council, focus each other’s resources into developing a joint action plan that will contribute to resolving many of the anti-social, criminal and potential murderous behaviour currently being investigated in the Glenrosa and Greenmount areas.